Pink Floyd's founding member and drummer Nick Mason and his band Saucerful of Secrets will be performing live in Malta on July 10. Organised as part of the Rock' n Malta events, the concert will be held at St George's Square in Valletta. 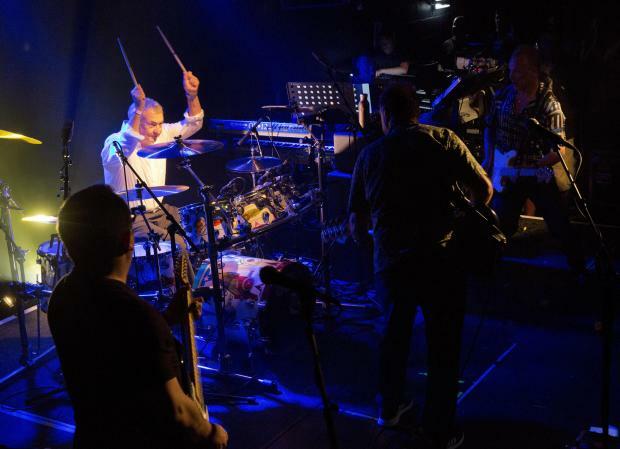 The band, featuring Nick Mason, Gary Kemp (former Spandau Ballet), Guy Pratt, Lee Harris and Dom Beken will perform tracks from Pink Floyd’s celebrated and significant early body of work, including songs from albums The Piper At The Gates of Dawn and A Saucerful Of Secrets. With an estimated 250 million records sold worldwide, Pink Floyd remains one of the best selling bands of all time. Nick Mason is the only Pink Floyd member to have been featured on all of their studio albums as well as all of their live shows. He has co-written some of Pink Floyd's most popular compositions such as Echoes and Time and will be his first live musical outing since Pink Floyd played at the 2005 Live 8 concert in London.